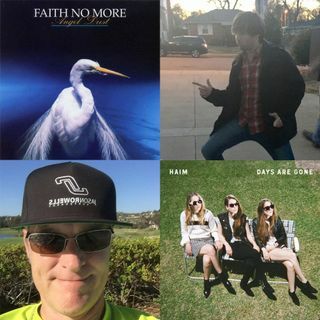 Episode 10 features Faith No More's 1992 release "Angel Dust" and HAIM's "Days Are Gone". Angel Dust was a blueprint for many of the 90s rock bands that followed. It was the first album to feature Mike Patton's songwriting for the band and the last to have Jim Martin on guitar. HAIM has been on rise as of late with their album Days are Gone. The three sisters from California blend pop melodies with other arrangements and three part harmonies to deliver an ... See More album that goes beyond pop.